It was just last year that Prime Minister Narendra Modi encouraged yoga practice among youth and celebrated the International Yoga Day in Delhi. Seeing the enthusiasm among the common crowd, Modi decided to take this forward and today he is celebrating 2nd International Yoga Day in Chandigarh. People not only appreciated the move by the Prime Minister, but they also found business opportunities for themselves. 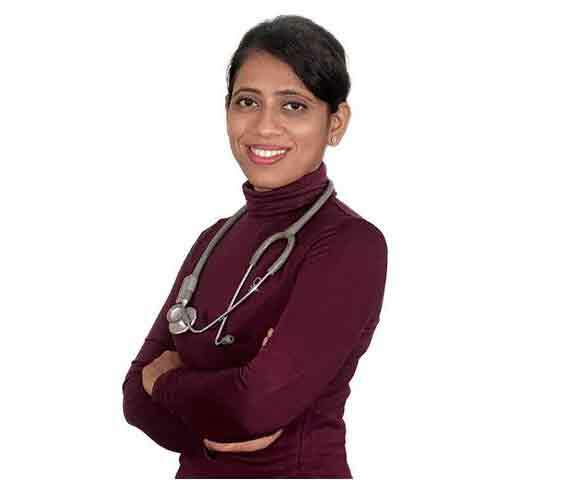 Encashing the same and identifying the market opportunity, Dr. Smita Gautam, a homeopath decides to get deep knowledge of Yoga by enrolling herself in prestigious Yog Niketan, and turned herself as yogapreneur (Yoga Entrepreneur). In 2010, Dr Gautam founded Health First to demystify homeopathy and yoga, making it accessible for everyone. “We believe Yoga is a way of life and does not comprise of only physical culture, as generally understood. Our practical applications of yogic ideals in daily life include the simple philosophies behind the techniques of yoga that contribute to better living,” shares Gautam. It is very important to identify the correct market opportunity. As an entrepreneur, you have to keep your ears and eyes open because you never know when the opportunity knocks at your door. If you identify the right opportunity, you will hit the market in the right manner. We can justify this by giving the example of Dr. Gautam. It was in 2004 when Dr. Gautam conceived her first child and decided to take a break from her career. During that phase, she used to read a lot about the mythological stories of child prodigies namely Abhimanyu, Prahalad and Astavakra name a few. To see the impact of ‘Garbh Sanskar Yoga’, it was then that she decided to practice it wholeheartedly. 2010 was the stepping stone for Dr. Smita Gautam when she founded Health First to demystify homeopathy and yoga making it accessible for everyone. The lady had a clear vision of what to do and how to do and therefore she is able to create such an impact in the society. Entrepreneurs, if you are planning to step in the entrepreneurial world, remember this. Within two years of starting Health First in a rented commercial space, she was able to purchase her own commercial premises in prime commercial area of Vadodara City, making her venture a profitable one. Starting a business is not enough. You need to earn profit from your venture so that you can scale up. Making profits will help your organization to sustain in the market and compete with others. So if you are starting up, remember you have to make profit to sustain. Dr. Gautam is very well conversant with the subject and mixes both traditional and therapeutic yoga very well. She is a pioneer in therapeutic yoga, one-to-one approach for individual specific conditions and purposes with a specific focus on health and healing. It is very important for entrepreneurs to have expertise in the subjects they are dealing in. Subject expertise helps you to gain more traction as you know all the tactics to handle your product. This in turn helps you to grow your venture successfully. She has been working right from the sun shows up to when it sets down in the evening. Since the inception of Health First; she has been conducting workshops, seminars and delivering lectures on various topics related to yoga, health, and management. Despite having such a hectic day, she makes sure that she spends time with her nine-year-old son. For her, professional and personal life is two different priorities and she makes sure she devotes equal time to them making no compromises.